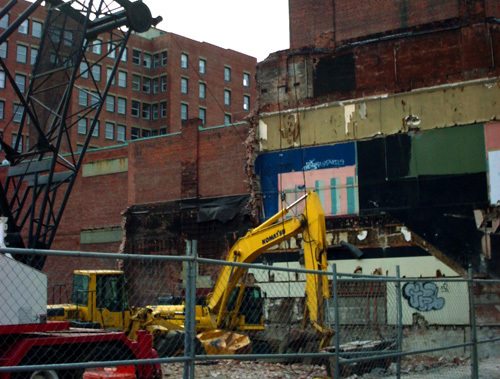 For any urbanists out there - The House Corporations Committee will be hearing legislation today to require that developers who want to demolish historic buildings post bond with the city in question, to be returned upon completion of the new project. It’s inspired by all of the recent demos in downtown Providence, and our spiffy new surface parking lots. 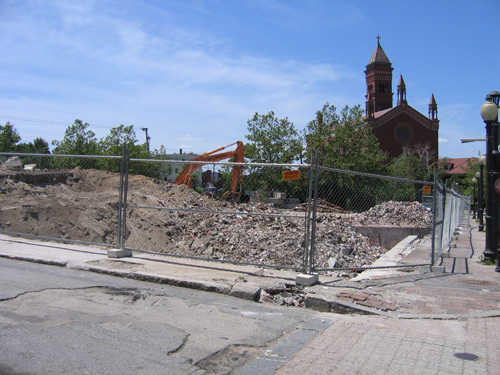 The bill is written pretty broadly right now, and so the language will likely be augmented, but anybody who’s concerned about this issue should feel free to come out and testify about the detrimental effects of all of the wanton demolition in Providence, and help establish that this widespread pratice is a real concern in our downtown core and other parts of the city. That’s Tuesday, at about 4:30pm in room 203. Speaking of that mess. We need some sort of legislation to avoid demolition by neglect. Properties like the Fruit & Produce Warehouse and Grove Street School should not be allowed to just rot away. We’ll have to see what Rep. Segal can do about that. 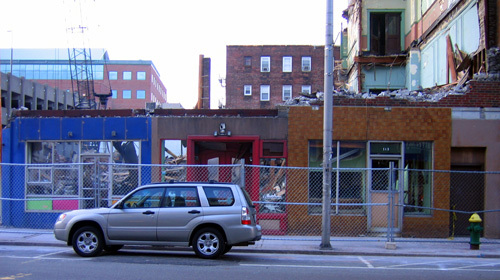 Doesn’t the mayor already have people drafting some kind of demolition by neglect ordinance? 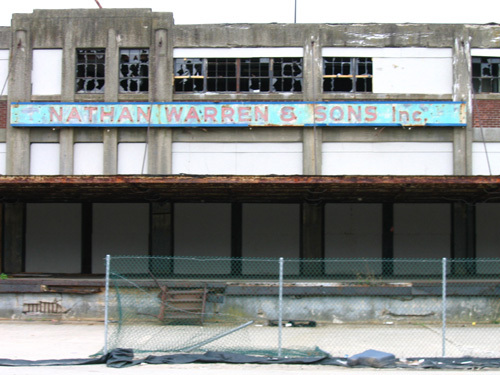 I seem to remember a big to-do about it, along with some kind of a catalog of buildings suffering by it, right after the produce warehouse came down.